I love coffee. So when I stumbled onto this Life Magazine ad from April 1960, I couldn’t help but to pause for observation. 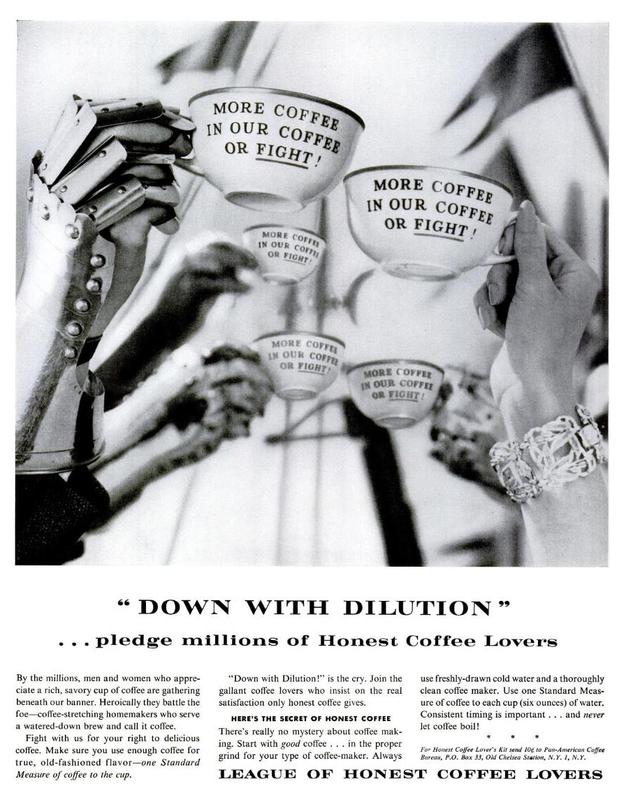 “Down with Dilution” Hell yeah, I’m all about that. I assumed the quality of coffee in 60′ sucked. Then after a closer look, this ad seemed like the perfect mantra for the birth of Starbucks. Maybe the founder actually read this. My guess is people didn’t care much about proper measurement, consistent timing and NEVER letting the coffee boil. They were too worried youth of America becoming hippies.